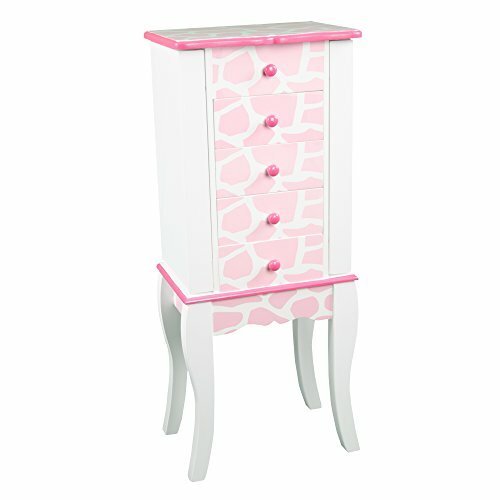 Teamson Kids - Fashion Prints Jewelry Armoire with Mirror 1 piece for Kids Giraffe (Baby Pink / White) by Teamson Kids at Indsight. MPN: TD-11672D. Hurry! Limited time offer. Offer valid only while supplies last. Have your astronaut take a break on this galaxy inspired time out chair. Deep blue hand painted and hand carved chair decorated by planets. aliens.